South Korea will swear in 60-year-old Park Geun-hye as the country’s first female prime minister this month, after she narrowly defeated her more liberal competitor, Moon Jae-in, in the general election in December. Park is the daughter of Park Chung-hee, the controversial leader of South Korea from 1961 to 1979. The elder Park, who was assassinated in 1979, is credited for much of Korea’s economic progress but also criticized for human rights abuses. In her campaign, Park carefully maintained her distance not only from her father’s presidency but from the presidency of her predecessor and fellow party member, Lee Myung-bak. The balanced approach helped Park win support from moderate voters while maintaining her popularity among conservatives. Park is the first president-elect since democratization in 1987 to win a majority of the votes. 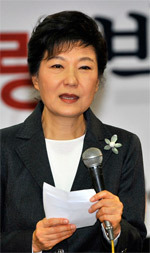 Economic issues will test Park’s balanced approach when she takes office on February 25. South Korea’s quarterly growth rate was only 0.1% in the third quarter of 2012, its lowest rate in more than three years, and economic disparity has worsened. In her campaign, Park pledged to revive growth and promote income equality by encouraging small business development and expanding social welfare programs. Park’s foreign policy issues could prove even more daunting. She has criticized the North Korea policies of her two immediate predecessors, the first for being too lenient, the more recent for being too harsh. Finding a more effective middle ground will be challenging, especially if the North continues testing new weapons. In December, North Korea launched its first satellite into orbit. Park will also face challenges with Korea’s other neighbors, Japan and China, both of whom are undergoing their own leadership transitions. 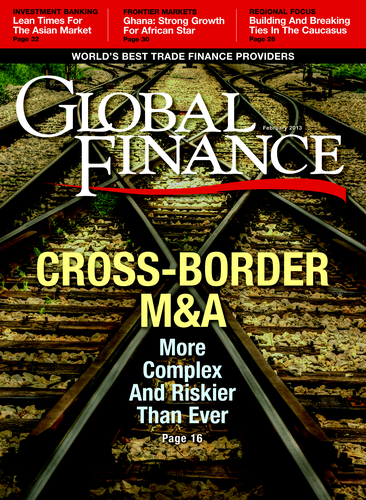 Plus, she must manage Korea’s security alliance with the US without disrupting the country’s increasingly important economic relationship with China.